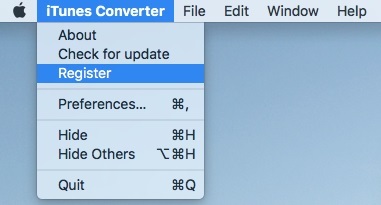 Macsome iTunes Converter is sold as keycode. So you may have to download the latest trial version from our website, install it. Before you have bought and entered the registration information, you could only convert 3 minutes of each audio files you select to convert. 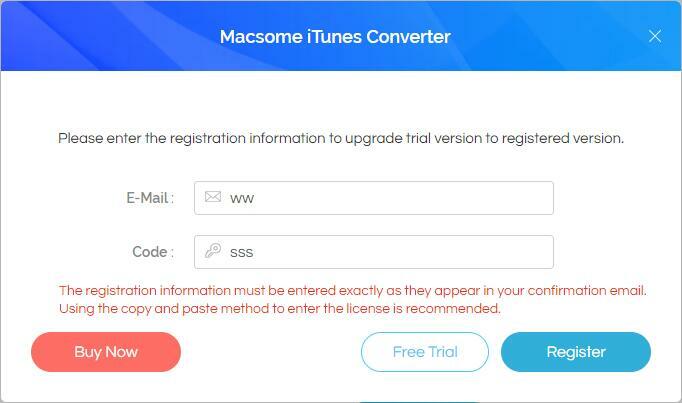 After you have received the registration information from us, please follow the next steps to register your iTunes Converter. Step 2: After you click menu "Registration...", the register window will popup as below. You should input E-mail adress and Product key in it. You may use command+c to copy from our registration email, and command+v to paste into the register window. 1. Make sure that both E-mail and Product key are provided by us after you pay the registration fee. If you have not paid, please click "Buy Online" to purchase. 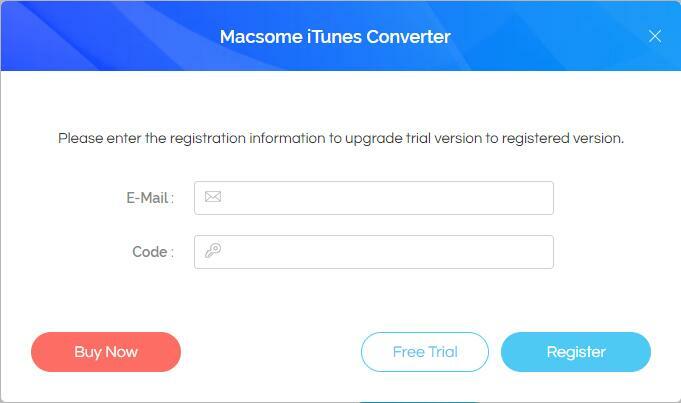 Step 3: When the registration is finished, now Macsome iTunes Converter is a full version without any limitation. Remove DRM from iTunes protected media files. Up to 20X speed to convert kinds of music files with ID tags and all metadatas. Convert iTunes & Audible audiobooks & protected M4P, M4A, M4B music files to MP3 / AAC / WAV.